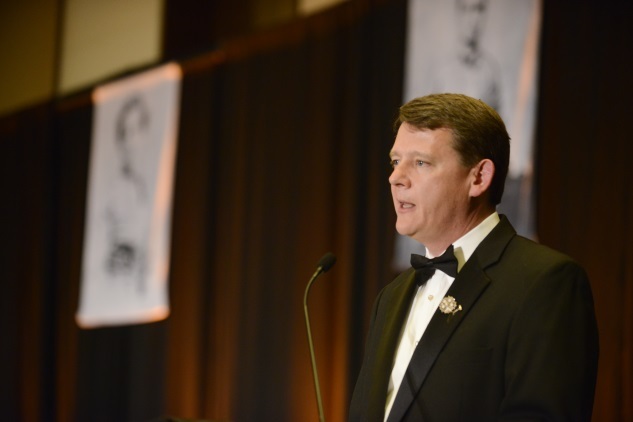 The Delta - Latest News - 2018 NHPW Message from the Regent - Sigma Nu Fraternity, Inc.
Sigma Nu was founded 150 years ago during a unique time in American history. Chaos, uncertainty, and ambiguity were common place, and without intention to build a confident vision, incivility and rampant abuse filled the void. These societal ills manifested themselves at the Virginia Military Institute. Leadership, vision, and courage from our founders brought forth change. With Hopkins and Quarles hardened by war and Riley left fatherless before birth, these three men arrived at VMI with a more mature mindset. These experiences compelled them to rebel against the status quo of hazing, to choose the harder right over the easier wrong, and to commit their lives to honor while clasping hands on a rock. The symbolism of our founding occurring on a rock should not be lost. A rock is permanent and unmoving – representations of Truth. Truth is best searched for from a place of honor, and opposition to hazing was the catalyst for The Legion of Honor. Sigma Nu’s opposition to hazing is not a story contrived for a candidate manual. It is who we are at our core. It is our history, and the example of our founders clearly instruct our path. Do not forget this history. Consider our great Nation’s current environment. By all accounts, incivility is increasing, resulting in stifled debate and a degradation of truth. Voids of leadership are emerging in virtually every aspect of our society, including within our families, businesses, institutions, and in all political parties. Leadership and vision are needed as much now as at any time in our history. The Greek system, and, I believe, Sigma Nu especially, is uniquely qualified to develop the leaders needed for our society’s future. Done right, our Fraternity’s local chapters provide unparalleled incubators for leadership development. What is the call to action for our collegiate brothers? “Return to the Rock” and embrace our principles of Love, Honor and Truth. When you do so in each decision you make, you further strengthen our organization’s ability to develop the ethical leaders who will propel our society in a positive direction. Importantly, you cannot stand on the Rock of Honor and embrace personal servitude, forced obedience, or other forms of hazing. There is no place “On the Rock” for such, nor does it align with the proud example set by our founders. I am honored to serve as the Regent of Sigma Nu, and I applaud the thousands of young men in our chapters who lead with vision and courage. Together, our collective choice to “Return the Rock” will help our organization thrive for another 150 years! Expect the Best. Nothing Less.